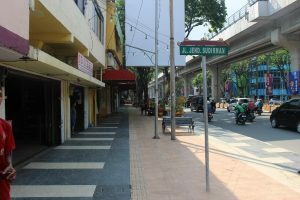 Palembang City in the South Sumatra Province of Indonesia has been facing considerable challenges in the transport sector due to its rapidly growing urban population. In 2009, CDIA supported the city in finding ways to improve its transport system. Its assistance included a comprehensive transport sector review, investment planning and programming, pre-feasibility studies (PFS) of prioritized projects and linking these projects to downstream financing. 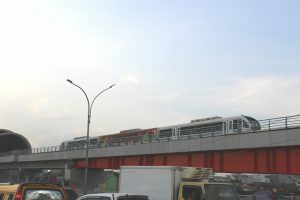 In 2011, the study was completed with the following key recommendations: city center transport and environmental improvements along Sudirman Street; construction of Musi Bridge IV; expansion of Trans Musi (Bus Rapid Transit) network, including pedestrian and public transport infrastructure improvements along Trans Musi corridor 4 and park-and-ride facilities in existing bus terminals; and integration of Musi River transport to the Trans Musi network. These investments were envisaged to promote increased use of public transport, reduce traffic congestion particularly in the city center, and address the transport needs of the poor and the disadvantaged sector in the city. Eventually with reduced private vehicle use, residents are expected to reap the project’s environmental benefits such as reduced CO2 emissions. 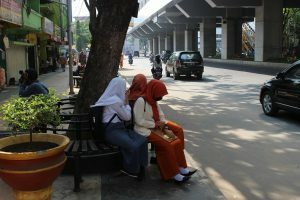 A recent monitoring study by CDIA’s Monitoring and Evaluation Specialist Nick Baoy and Senior Urban Infrastructure Specialist Julian Syah has confirmed that Palembang has made headway in improving Palembang’s transport system, with many of the initiatives linked to the CDIA study back in 2011. 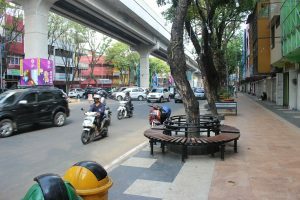 First, Jalan Sudirman, the busiest street in the city’s central business district (CBD) has been transformed with the expansion, concreting and beautification of pedestrian sidewalks, enforcement of off-street parking, installation of street lighting, and provision of recreational facilities near the Ampera Bridge. Also, the new light rail transit (LRT) running through Jl. Sudirman has altered the landscape of the city particularly the CBD. This national government-initiated project connects Palembang International Airport and the Jakabaring Sport Complex, one of the venues of the recent 18th Asian Games. 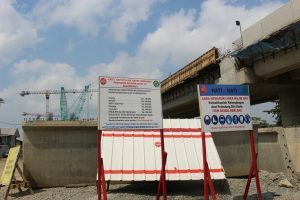 Although the LRT project was not identified as an immediate priority of the medium-term transport sector plan developed with CDIA support in 2011, its advanced implementation is expected to have a far-reaching effect on the transport situation of Palembang. Meanwhile, the construction of the new Musi River bridge (Musi IV) with investment value of IDR 521 billion is about to be finished. 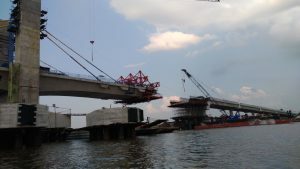 Ampera Bridge, the only bridge connecting the city center and Jakabaring district was estimated in 2011 to be carrying 40,000 people per hour at peak time; hence the Musi IV bridge will provide a big relief to the existing bridge, at the same time reduce vehicle traffic flowing into Jl. Sudirman. Trans-Musi (BRT), which used to run along two corridors in 2009, is now operating in nine corridors covering the entire city. The total number of buses have likewise increased from 25 in 2009 to 239 at present. Although the BRT operation remains heavily dependent on government subsidy, fare revenues have increased from IDR 682 million in 2010 to IDR 21 billion in 2017. Investments in bus shelters, now totaling 251 and road maintenance along the bus corridors have also been shouldered by the city government. 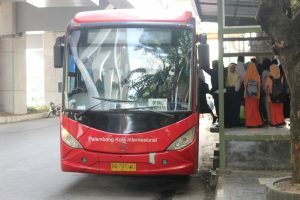 Furthermore, the park-and-ride facilities at Alang-alang Lebar have been improved with plans to scale up improvements in other bus terminals. 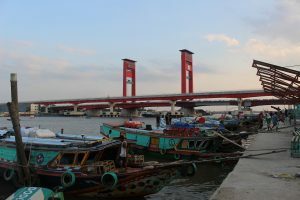 As Palembang is divided into two areas by Musi River, water-based mode of transportation has traditionally served communities along the riverbanks. In line with CDIA’s PFS, the city has invested seven additional ferry boats and integrated the river operation into the Trans-Musi network. This initiative has earned recognition from the national government as a model for land and water transport integration. Overall, the various investments have generated positive results for the city. 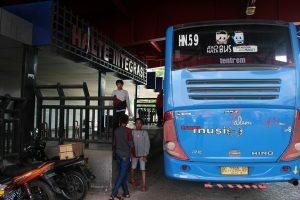 For one, the number of city residents patronizing Trans Musi bus services has increased from 230,000 in 2010 to 4.1 million in 2017. Likewise, significant improvements in traffic flow especially during peak hours have been observed by city officials particularly in the city center. Moreover, the upgrade in public transport facilities and pedestrian environment is widely perceived to be advantageous to the poor sector in terms of enhancing their mobility and access to socio-economic services and employment opportunities. Finally, by promoting greater use of public transport, people are expected to use less car, thus ultimately reducing transport emissions. “Already, we are recognizing the important benefits that the completed projects have brought to Palembang,” said Mr. Agus Suprijanto, Secretary of the City’s Transport Department. “With the wealth of experience we have gained from CDIA, we are optimistic that the city will find the appropriate solutions to new transport issues that may crop up in the future,” he added.